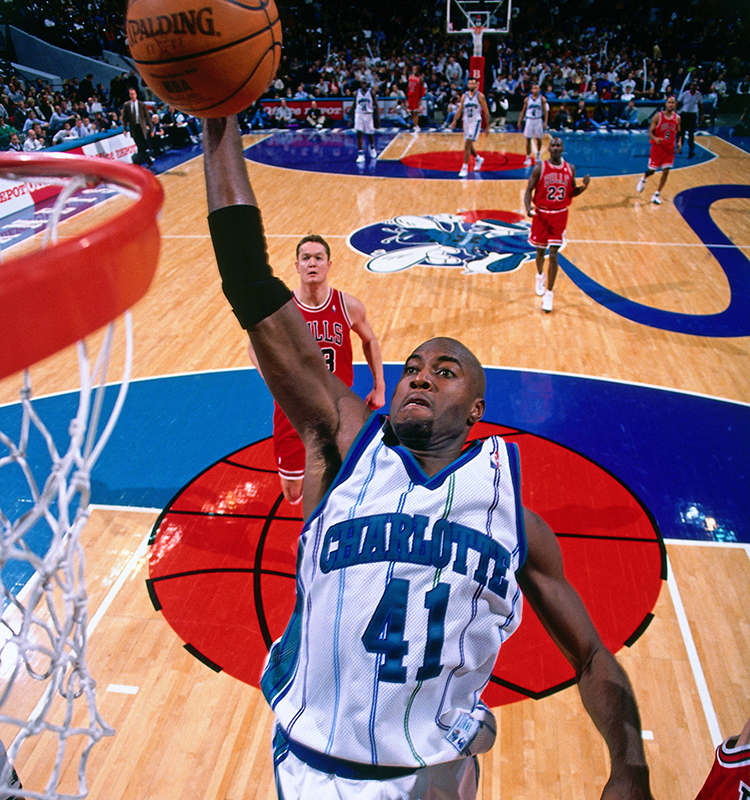 As pure and lethal a scorer as the Charlotte Hornets have ever had on their roster, small forward Glen Rice was front and center for the team’s most successful three-year stretch in franchise history. 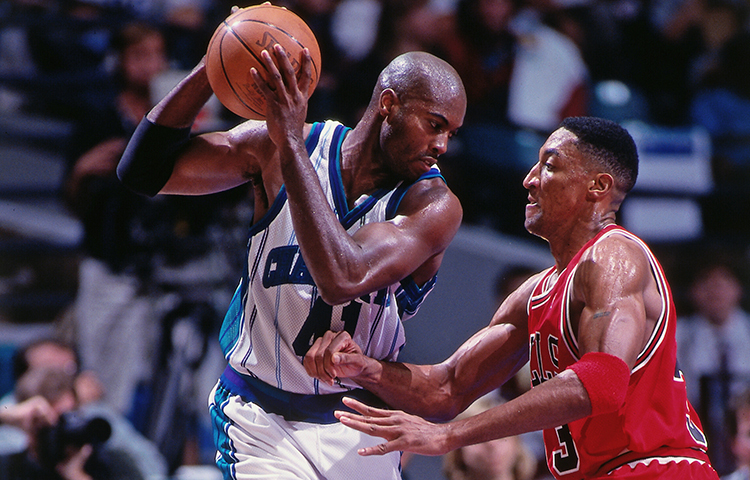 After spending his first six NBA seasons with Miami, Rice arrived in Charlotte on Nov. 3, 1995 as part of a six-player swap that sent Alonzo Mourning back to the Heat. Rice cruised to 21.6 points on 47.1 percent shooting, 4.8 rebounds, 2.9 assists and 1.2 steals in 79 games his first season with the team, earning himself the first of three-consecutive NBA All-Star Game nominations. 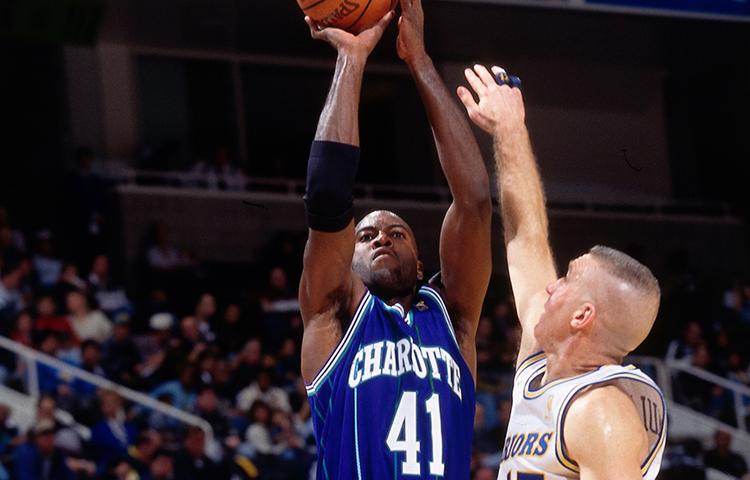 Rice exploded in the 1996-97 campaign with franchise single-season records for scoring (26.8 points; third highest in the NBA), three-point field goals (207) and three-point percentage (league-leading 47.0 percent) to go along with 4.0 rebounds and 2.0 assists, while leading the Hornets to an organizational-best 54 wins. 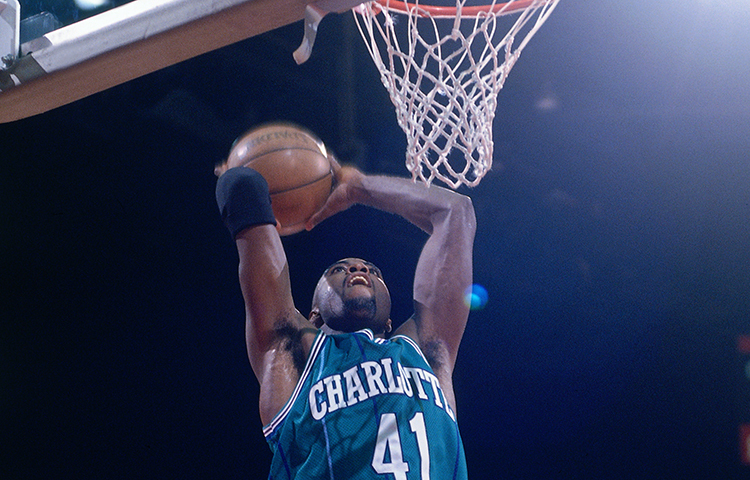 He also scored a Charlotte single-game record 48 points in a win over the Boston Celtics on March 6, 1997, landed on the All-NBA Second Team and finished fifth and tied for fifth, respectively, in MVP and Most Improved Player Award voting. 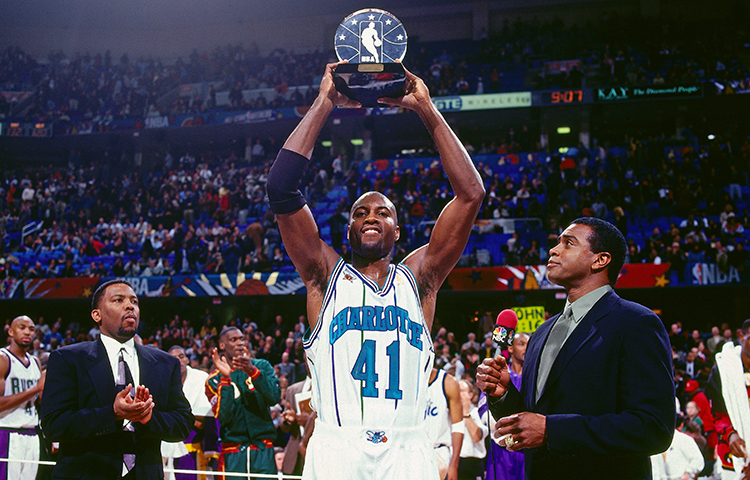 Most notably though, Rice became the first and still only player in franchise history to win the All-Star Game MVP Award. He tallied 26 points and two steals off the bench in the Eastern Conference’s 132-120 win at the Gund Arena in Cleveland, OH. Rice averaged another 22.3 points in 82 starts the following season on his way to All-NBA Third Team honors and an 11th place finish in MVP voting. 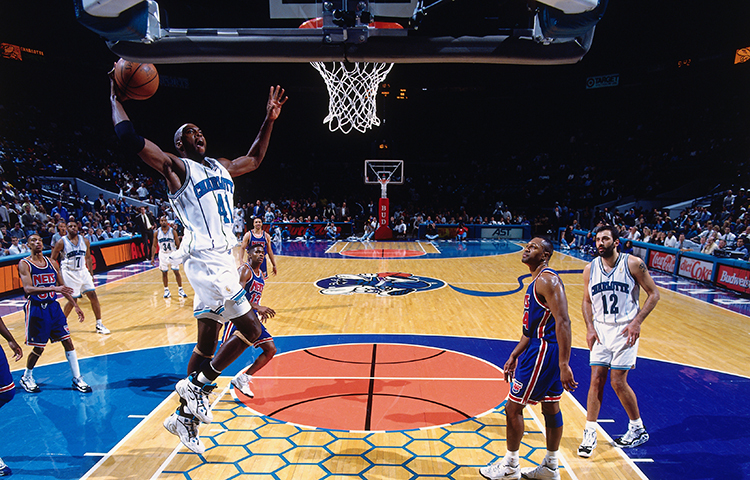 The Hornets reached the Eastern Conference Semifinals for the second time in franchise history, falling to the eventual NBA champion Chicago Bulls in five games. 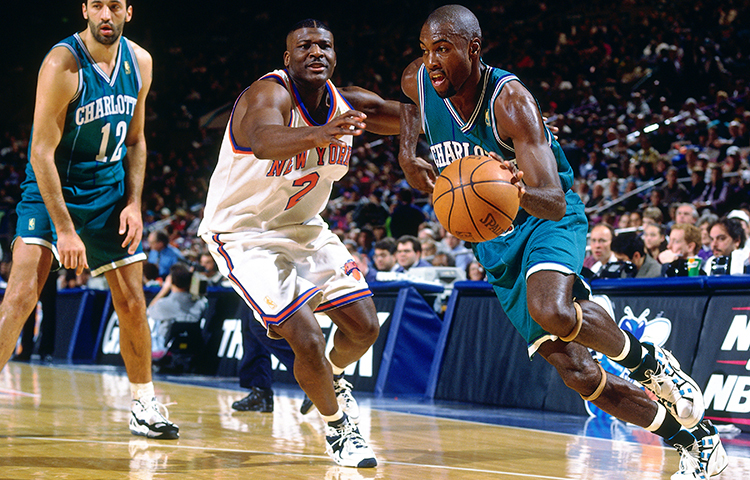 The three-time All-Star was sidelined with an elbow injury at the start of the 1998-99 lockout-shortened season and on March 10, 1999, was traded to the Los Angeles Lakers along with B.J. Armstrong and J.R. Reid in exchange for Eddie Jones and Elden Campbell. The next year, Rice won his only NBA championship with the Lakers and played another four more seasons with the New York Knicks, Houston Rockets and Los Angeles Clippers before a knee injury forced him into retirement in 2004. He currently serves as a team ambassador for the Miami Heat. In three seasons with Charlotte, Rice averaged 23.5 points (highest in team history) on 46.9 percent shooting (44.4 percent from three), 4.4 rebounds, 2.4 assists and 1.0 steal in 240 appearances. 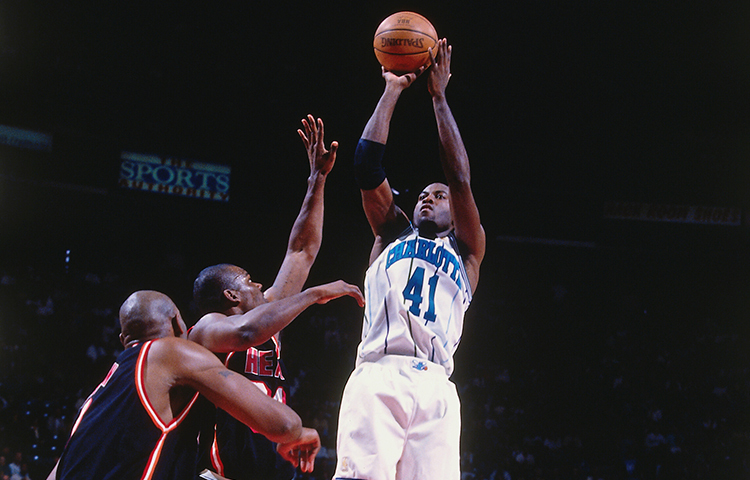 He ranks fifth in franchise history in career points (5,651) and free throws (1,211) and third in three-point field goals (508).